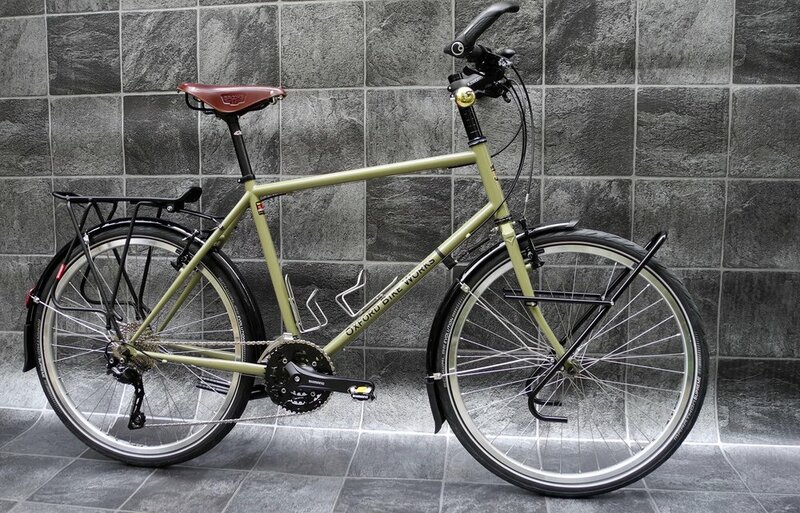 A custom-built bicycle for every budget and requirement. We offer five standard build specifications, with unlimited scope for modification to suit your personal preferences. All our bikes are built around our flagship TIG-welded Reynolds 525 steel frame - strong, light, and designed specifically for the demands of touring, with three standard colour options or the ability to specify your own. 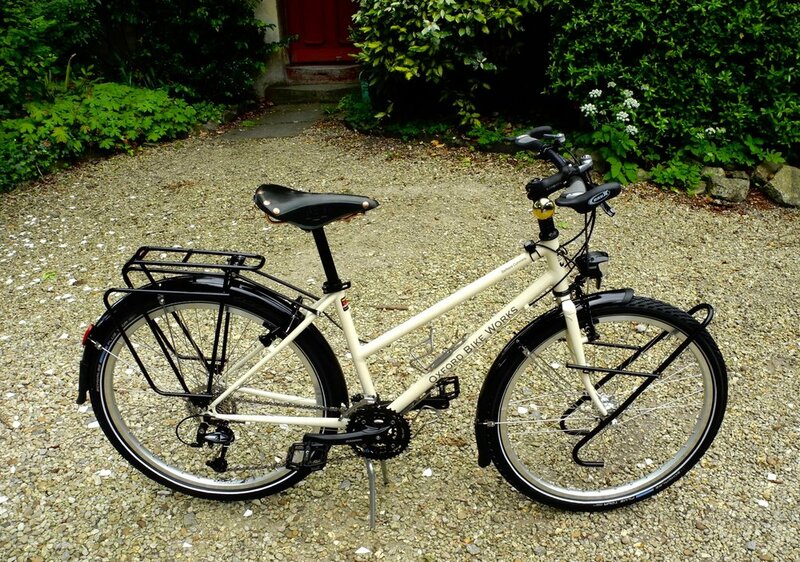 Our bikes come tour-ready, meaning that good quality mudguards, racks, pedals, saddle and tyres are fitted as standard. Other manufacturers cut costs in these departments to bring their list prices down, then charge extra for essential touring components and accessories. In our opinion, when you buy a touring bike, it should be ready to load up and ride right out of the shop. 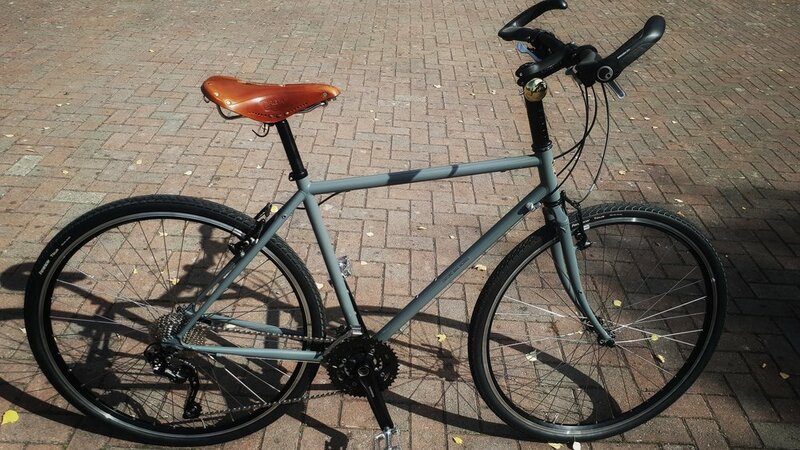 Our classic flat-bar touring bike, with reliable, durable, quality components designed to last the lifetime of the bike. 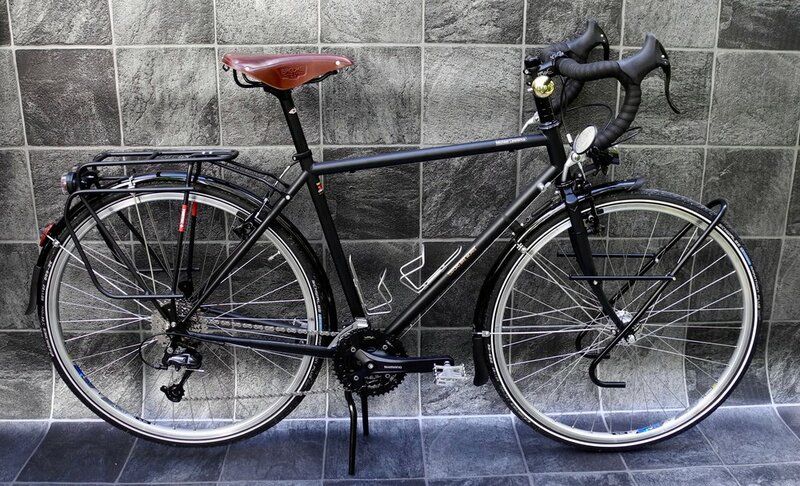 Our top-end specification touring bike, with Shimano Deore XT components all round, and high quality wheels. Our fully bespoke offering, with top-end components on a one-off British frame, hand-made to your precise measurements. As specified by veteran cycle explorer, Tom Allen, this bike is designed to withstand the rigours of a round the world adventure. Start from the frame up, specifying your choice of components from the vast range available through our suppliers.